The Drug Dynamics Institute is a multi-disciplinary research center where scientists, educators, businesses and regulatory specialists collaborate in finding solutions to a wide range of biomedical, pharmaceutical and public health issues. The Drug Dynamics Institute brings together an extensive network of faculty and researchers to cultivate ideas and programs that enhance the discovery, development and commercialization of novel therapeutics. Medical innovations create novel solutions to complex diseases and healthcare issues. Now, more than ever, the ability to conduct pivotal proof of concept and preclinical testing is a vital force in developing state-of-the-art products and services that can be approved for human clinical trials. The Drug Dynamics Institute is a collaborative center, bringing together extensive scientific expertise across industry, academia, and government partners. The development of pharmaceutical and medical products is a rigorous and highly specialized process. 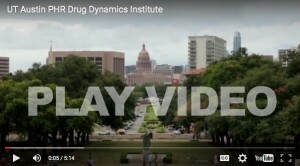 The Drug Dynamics Institute has developed tools to help industry, start-ups, and academic researchers move ideas from the lab into human clinical trials via preclinical evaluation and development (TherapeUTex), Good Laboratory Practices compliant facilities (UT Advance), and wet lab incubator facilities (UTech Dorm Room). 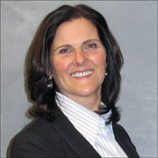 We look forward to working with you and your team in bringing new innovations to patients.